Every year since 2003, Long Beach Unified School District third graders have received a brand new dictionary thanks to the Long Beach Public Library and Earl B. And Loraine H. Miller foundations. 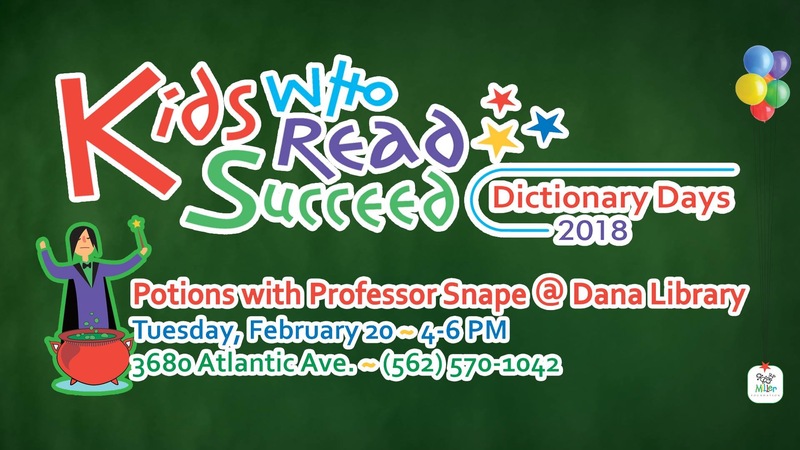 After the new dictionaries are distributed, the Long Beach Public Library’s Dictionary Day events support students by teaching them how to properly use a dictionary through engaging activities that help to improve reading comprehension during a crucial time in their reading development. When children enter the fourth grade their lessons shift from learning to read to reading to learn, however studies show that students who are not at a proficient reading level by third grade are four times more likely to not graduate from high school, according to Campaign for Grade Level Reading. “After fifteen years, we’re thrilled to celebrate that over 115,000 students have benefited from this program. We often hear from high school students who visit the library that they still have their Dictionary Days dictionary,” Margaret Farwell Smith said in a statement, an executive member of the Long Beach Public Library Foundation Board of Directors and the Miller Foundation Board of Trustees.